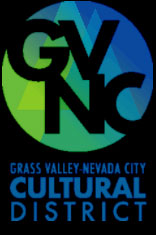 Located in the historic gold mining town of Grass Valley, California, the gallery is at the center of a vibrant visual and performing arts community. 37 juried visual artists cooperate in presenting their work in this 19th century building. The work includes ceramic, glass, jewelry, painting, woodturning, furniture, fiber art, metal, mosaic, mixed media, photography, and sculpture. 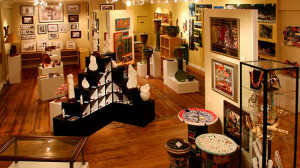 Art Works Gallery opened in May 2010 as a new Grass Valley downtown artists co-op gallery on Mill Street. We have been successful in part due to this excellent location but more importantly due to the commitment of our many artists working together to share the responsibilities as a unified team. We divide the work and share in the fun and enthusiasm, as well as the expenses to create a successful art gallery for all the members, and the community.